Welcome! We are the LAB (Learn About Bowling) Coaching Center and Pro Shop located inside Mel’s Lone Star Lanes in beautiful Georgetown, Texas. John Hood, our USBC Silver Certified coach offers lessons for every skill level. Lessons are available for individuals, for 2 bowlers, and for groups of 4-5. We also give LAB I workshops for bowlers averaging 175 or less and LAB II workshops for 175+ average bowlers. For advanced instruction or Bowler’s Map software can analyze more details of your game such as ball speed, rotation, and consistency. The retail pro shop carries all brands of bowling balls, shoes, bags, accessories, and necessities. We stock newly released merchandise as well as some older favorites. Store brand shirts and towels are also available. 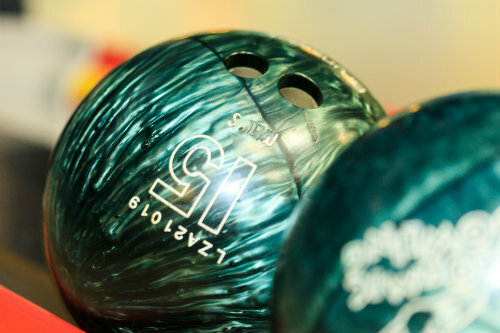 Our IBPSIA-Certified (International Bowling Pro Shops and Instructors Association) ball driller can custom fit your hand for a new ball, or modify your existing equipment to help you bowl better than you ever have before. Without the IBPSIA label displayed at the pro shop, you don’t know exactly what to expect. IBPSIA technicians and coaches have the professional training to analyze your physical game, customize your equipment and grip based on your personal skill level. So, don’t take any chances, look for the IBPSIA label.